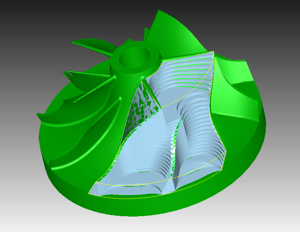 Concepts NREC's optional 3+2 Roughing Module enables roughing out of impellers using 3-axis algorithms, keeping a constant tool vector. 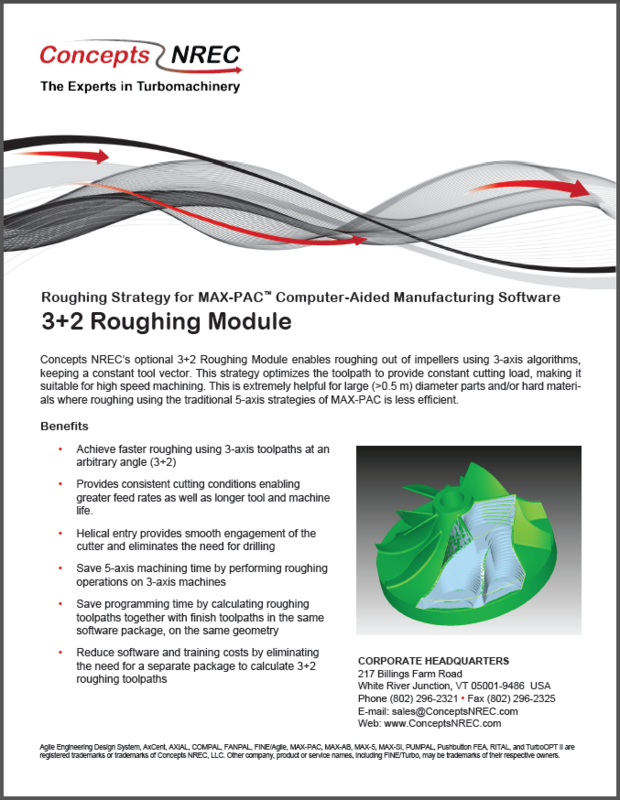 This strategy optimizes the toolpath to provide constant cutting load, making it suitable for high speed machining. 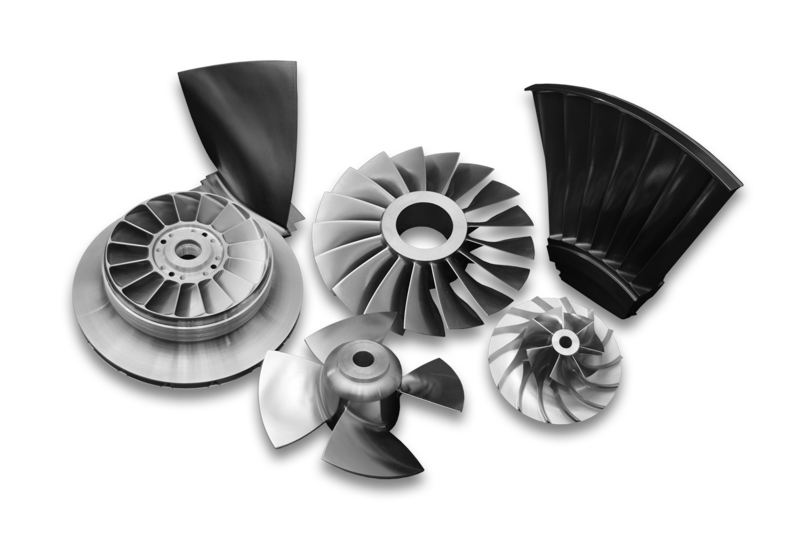 This is extremely helpful for large (>0.5 m) diameter impellers and/or hard materials where roughing using the 5-axis strategies of MAX-PAC is less efficient. Provides consistent cutting conditions enabling greater feed rates as well as longer tool and machine life.